Leave it to a middle school science teacher to explain the complex food chain in Alaska’s tundra in thorough simplicity. Kemp is spending her summer working with Amanda Koltz, a PhD candidate at Duke University. 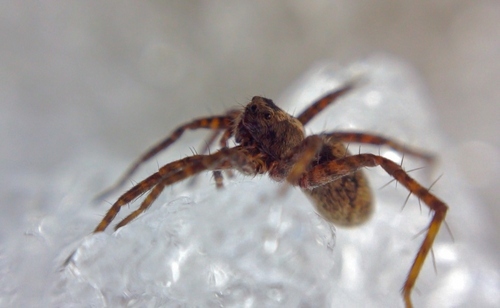 Koltz is studying the extent to which arctic wolf spiders influence the structure of food webs in the tundra and measuring whether the wolf spiders’ impact on the community is changing with warming. Koltz’s research is supported by the U.S. National Science Foundation and National Geographic Society's Committee for Research and Exploration. More about the significance of Koltz’s research in a minute. Start with the kinds of journal posts Kemp has been publishing regularly since her arrival in Alaska in late June. A wolf spider rests on the snow. Image courtesy of Kiki Contreras. Ultimately, Koltz aims to understand the impacts of global climate change on an ecosystem level. Kemp aims to explain her work to an audience that extends beyond academia and the scientific community. It’s a role Kemp, an environmental science teacher, was thrilled to get. 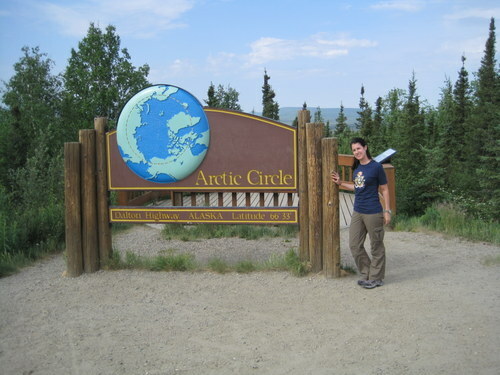 She applied to PolarTREC after logging 10 years in the classroom because she wanted to combine her love of adventure with her desire to inspire her students. One of the biggest challenges to teaching environmental science to city kids is that few students have experienced nature as anything beyond city limits. Kemp said she hopes her PolarTREC experience gives her more tools to better teach the difference between weather and climate and to help her students understand that a climate that warms one or two degrees can have a substantial, worldwide impact. More, she hopes that some of her students will be inspired to pursue their own scientific studies. Ultimately, she said that working with a scientist for the summer will make her a better teacher, and that stands to benefit her students. Keep up with Kemp’s adventures at her PolarTREC page.